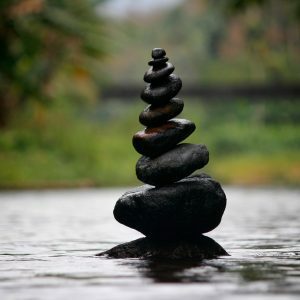 Reiki is a hands-on Japanese technique created hundreds of years ago and is used for stress reduction. It works with life force energy to clear blockages and re-energize the body by connecting the body and mind through the transference of energy. Reiki is an effective energy therapy that promotes physical and emotional well-being by activating your body’s natural healing process. IET is a safe, gentle, nurturing way to empower and balance your life by helping release patterns of the past for good. Feelings and sensations are stored in the cells of the body much like facts are stored in the cells of the brain. These experiences can become “stuck” (or suppressed) in the body and inhibit or disrupt the flow of vital life force at a cellular level. These energy blockages limit our experience of life and can result in a lack of spontaneity, energy depletion, a feeling of unrest, agitation or dis-ease. IET uses the high vibration of Angelic Energy and a unique “Cellular Memory Map” to energize and release these ‘cellular memories” by energetically restructuring DNA to release ‘the issues out of your tissues” and re-balancing your energy field. There are 32 points on your head known as the Access Bars. They store the electromagnetic component of your thoughts, feelings, emotions, ideas, beliefs, considerations and points of view that you have stored from any lifetime. The Bars, when lightly touched, effortlessly and easily release anything that doesn’t allow you to receive. Judgment begins to dissolve from within and is replaced by a sense of ease, peace and space. During an Access Bars Session, The Bars® are gently touched, which starts to clear the limitations you have about different areas of your life and body.